Can You Spray Vinegar Around Trees? Household vinegar contains 5 percent acetic acid, which is effective as an all-natural herbicide. The acetic acid burns weeds, especially when the vinegar is used on sunny days. Pickling vinegar is stronger than household vinegar because it contains 9 percent acetic acid, and often is used to kill weeds household vinegar can't kill. 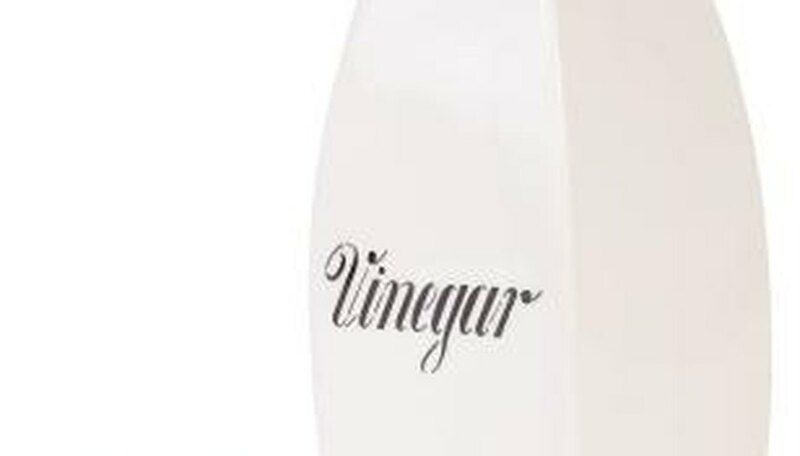 Although vinegar is an effective herbicide, it does not discriminate, killing weeds and desired plants that it contacts, especially young weeds and other young plants. Generally, vinegar does not harm established plants, including trees. The acetic acid level in household vinegar and even in pickling vinegar is not quite strong enough to kill tough weeds. The most effective weed-killing vinegar has a 10 to 20 percent concentration of acetic acid, and multiple applications of it are necessary for long-term weed control. So you can spray household vinegar around trees to kill weeds without harming the trees. Acetic acid is non-residual, which means it does not kill beyond its initial application. Acetic acid kills only plant tissues it touches. So spraying it directly on weeds surrounding established plants, including trees, is safe. Also, those plants, especially perennials, can regrow because their root systems are not harmed by the vinegar. Drenching an area of soil with high-concentration vinegar, however, can lower the soil's pH level temporarily. A lower pH level means the soil is more acidic than it was previously, which can kill some plants. Therefore, do not soak soil with vinegar. Vinegar can be used to kill weeds growing in a garden, around a patio, along sidewalks and along a driveway as well as under fences. It also can be sprayed on weeds growing around established trees and shrubs. Vinegar is effective to rid a gravel driveway and mulch of weeds, too. Acetic acid is most effective in controlling annual weeds and provides effective suppression of perennial weeds. Perennial weeds and large weeds often need more than one treatment; vinegar is most effective on weeds no more than 4 inches tall. Using vinegar on a hot, sunny day with no chance of rain for a few days produces its best weed-killing results. Vinegar acts quickly, with signs of its effects evident within a few hours. Vinegar with a 5 to 10 percent concentration of acetic acid kills weeds up to 2 weeks old while killing older plants requires vinegar with a higher concentration of acetic acid, according to a U.S. Department of Agriculture website article. Using vinegar with higher concentrations of acetic acid can kill 85 to 100 percent of weeds at all stages of their growth. University of California Agriculture and Natural Resources, Integrated Pest Management, Green Bulletin: Natural Herbicides -- Are They Effective? U.S. Department of Agriculture, Agricultural Research Service: Spray Weeds with Vinegar? Does Vinegar Kill Weeds in Lawns?